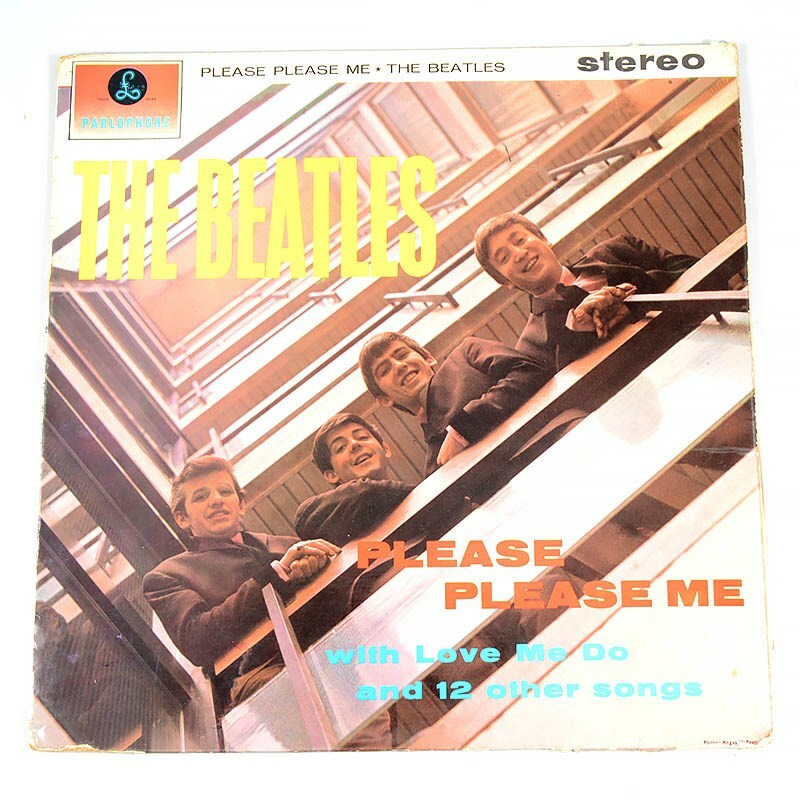 A rare first pressing of the Beatles’ first album Please Please Me has been discovered in a barn in Northamptonshire during one of our routine valuation visit. Mark Gilding was visiting a community centre in Desborough to look over items which had been left in a storage barn for over ten years. Amongst the range of items was a box of vinyl records containing the rare first pressing which will now go on sale as part of our Toy, Memorabilia and Model Railway auction on Monday 24th June. Back at the saleroom, Mark’s colleague, toy and memorabilia expert Andrew Smith, confirmed that it was one of the earliest copies produced. Clues to the record’s provenance include incorrect credits on the paper labels, the tool reference numbers impressed around the centre hole and the tax code stamped around the centre hole. Proceeds of the lot will go to the Vine Community Trust who operate Marlow House community day centre where the record was found. Amanda Green, Deputy Manager at Marlow House explains that the centre, which is reliant on donations, is partially funded by items sold at local coffee mornings as well as at auction. “Items are brought in to us following a spring clean or house clearance, sorted out to sell at our monthly coffee mornings or put aside to enter into auction, as now, with the much-appreciated help of Gildings, “ she comments. Other lots of interest to The Beatles fan base include a good back catalogue of other vinyl releases, and an original advertising poster for the Revolver album. Consignments for the June auction are accepted until Wednesday 5th June. Do contact our specialist to discuss entries, or attend one of our "Memorabilia Mondays" drop-in valuation events on Monday 20th May or Monday 3rd June.